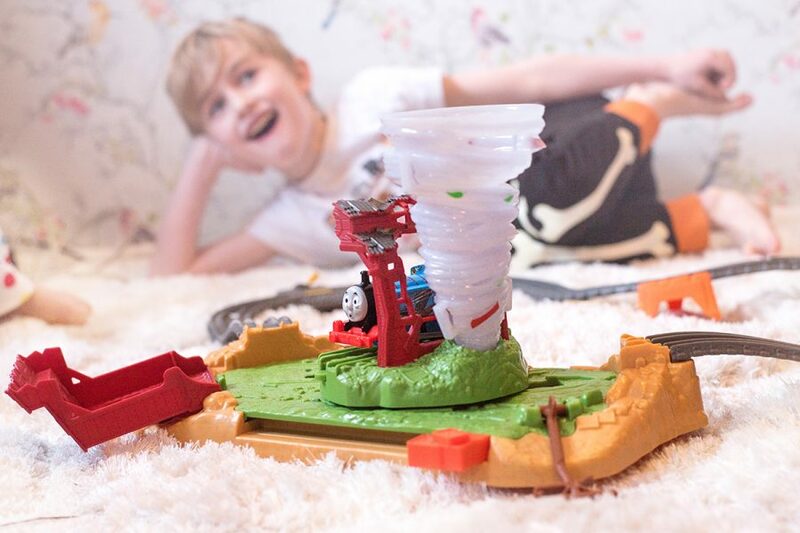 We’ve played with so many Thomas & Friends™ TrackMaster™ sets – and the latest to arrive at our home was the Thomas & Friends™ TrackMaster™ Twisting Tornado Set. 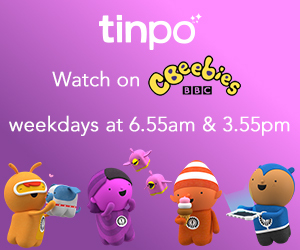 Hero was delighted as the other two boys were still at school and so he had two hours before preschool to put things together and get to grips with it without two big brothers taking over in the nicest way possible. Hero LOVES Thomas. I’ve lost count of the Thomas sets and trains we have – although shamefully we still haven’t bought the Hiro train for him to play with. Maybe the Easter Bunny will see to that. The little Thomas with the grassy windswept look – Hero is completely sure that this new look is for Easter and that the white wind sweeping marks are rabbit whiskers, like the Easter Bunny. Each time someone says Thomas is a bit dirty, he gives them a hard stare. The amazing tornado action – the first time we saw it happen, we were open-mouthed. 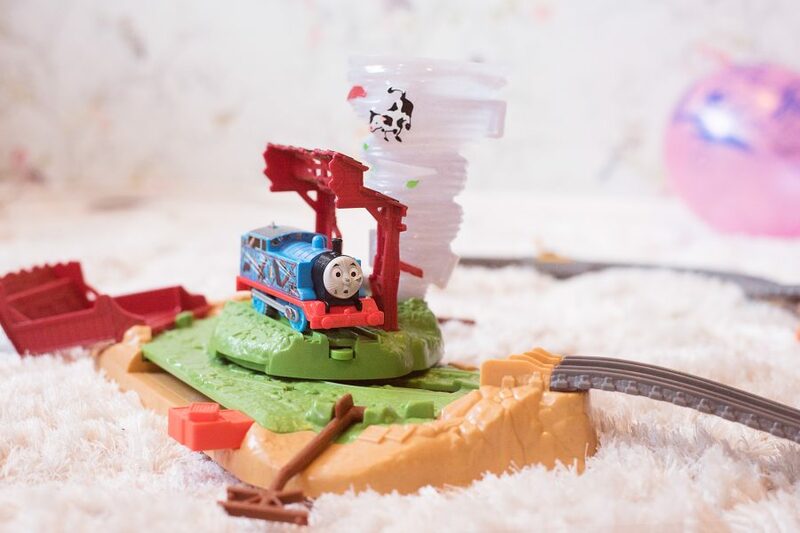 Thomas’ stunts get better every time a new Trackmaster set is released. I think this is our favourite so far – Jensen start Thomas off, and Hero puts the brakes on him at the holding station on the track whilst Lyoto resets everything ready to go again. It’s a team effort and they get all excited trying to do it all in time. That it’s so simple to set up. It took me [she who is awful with instructions] ten minutes at most to get everything set up, batteries in Thomas and knowing what to do. 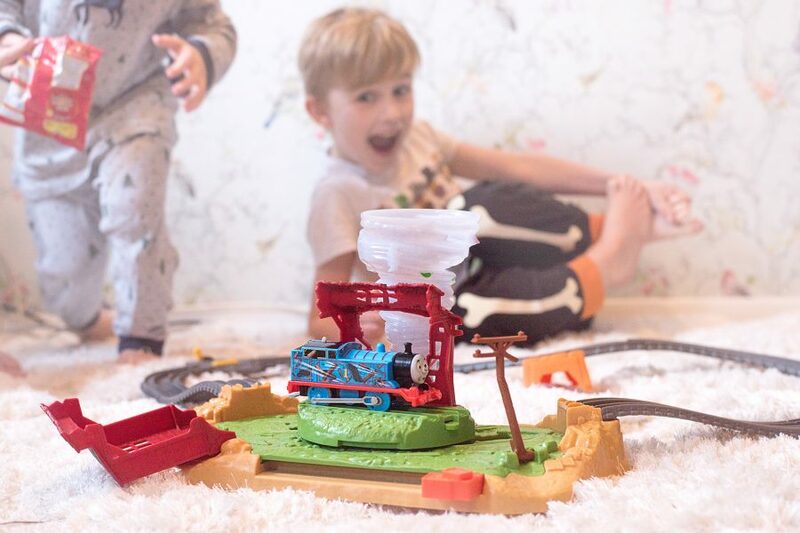 That Thomas came with batteries included – Thomas needs 2 x AAA batteries to work – although they’re simple to pop in with a Philips screwdriver. Thomas didn’t come off the track if you’re not fast enough to put the brakes on and reset the tornado. 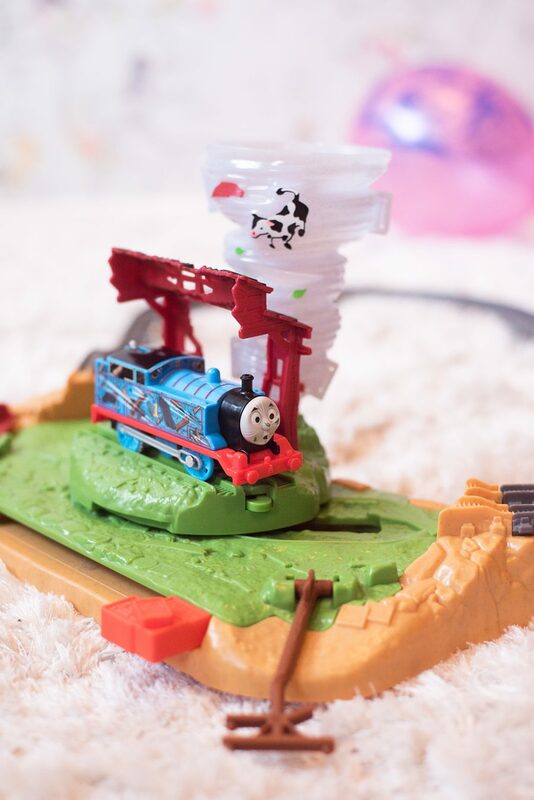 My boys love watching the other Thomas sets whizzing around and around and this isn’t possible for the Twisting Tornado set. 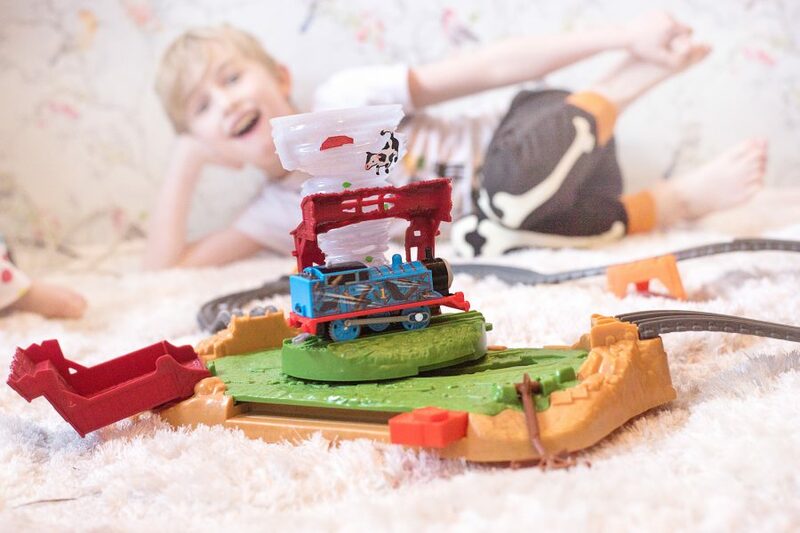 The Thomas & Friends™ TrackMaster™ Twisting Tornado Set is a great addition to the Trackmaster sets that we already have – the boys love seeing the trains racing about the tracks and the stunts that they can perform. They’re amazing value, made brilliantly as you’d expect and last well – we love them. This one is £24.99 and suitable for ages 3+. 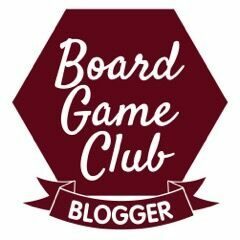 We were sent one for our honest review.